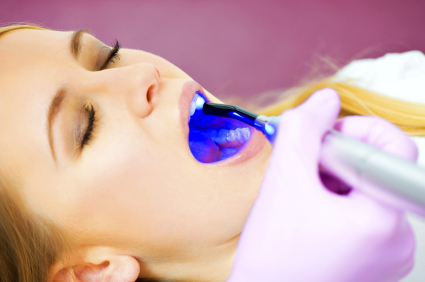 Generally, we use tooth-colored fillings in patients. These fillings are made of a composite material which offers an attractive, tooth colored solution to the issue of tooth decay and repair. With tooth-colored fillings, it is possible to effectively repair both front and back teeth with maximum efficiency and with an aesthetically pleasing result. The benefit of composite fillings comes not only in their improved compatibility, but also in the increased strength and bonding capacity with the surrounding tooth. They can also be placed into very small holes, or cavities. The fillings act as an insulator to the tooth when exposed to major temperature changes. Occasionally, it is still necessary or recommended to use amalgam fillings, which our office can also accommodate when necessary.